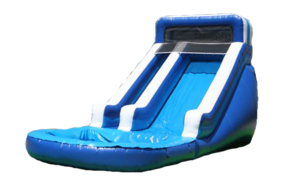 This 16' slide can be used wet or dry. It is a good option for little and big kids alike. This slide features front loading stairs and a small splash pad at the end of the slide. The perfect slide for an Arizona's hot summer day!